3D Animation videos are included in a special section of 3D graphics, which is gaining bigger popularity in recent years. The scope of use the animation video is quite wide, so the product is required by many industries. In particular, they are used to create cartoons, presentations, and in other, more narrowly focused areas. To receive a full clip, you have to use many different programs. Of course, each of them has its own strengths and weaknesses. The weakness in this case is lack of a particular function required during some operation while working. We will briefly review the most popular software, which is used by animators, in this article. This program is recognized worldwide as one of the best three-dimensional graphics editors. Impressive functionality and a variety of tools for work have led Maya to such popularity. In addition to that, indisputable advantage of this program is that it has an open source code. In other words, any programmer can make needed changes in it, to adjust software under this or that requirement. In general, it is very powerful and flexible program. Less known than Maya, but not less graphical 3D animation editor with enough powerful functionality. It provides wide opportunities to the user and allows creating high-quality animations. Closed 2015 . The 2015 release will be the final one for Autodesk Softimage software. The best-known program, which is used by studios and developers around the world. 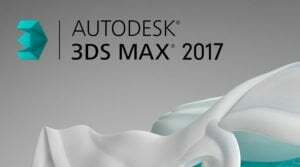 Functional capabilities of 3D Studio Max are impressive. It allows performing any work anyhow related to 3D modeling. The presence of special packages for artists and 3d animation makers allows creating the most complete and realistic product. All programs, released by Autodesk, have a particular set of options, broad functionality and virtually unlimited possibilities. One of the best programs used to create different types of film industry products. This is a professional 3D editor with broad functionality and multiple options, ideal for creating 3D animations. This program was originally designed to work with 3D graphics and animation. The Cinema 4D is considered universal product, which can render objects.